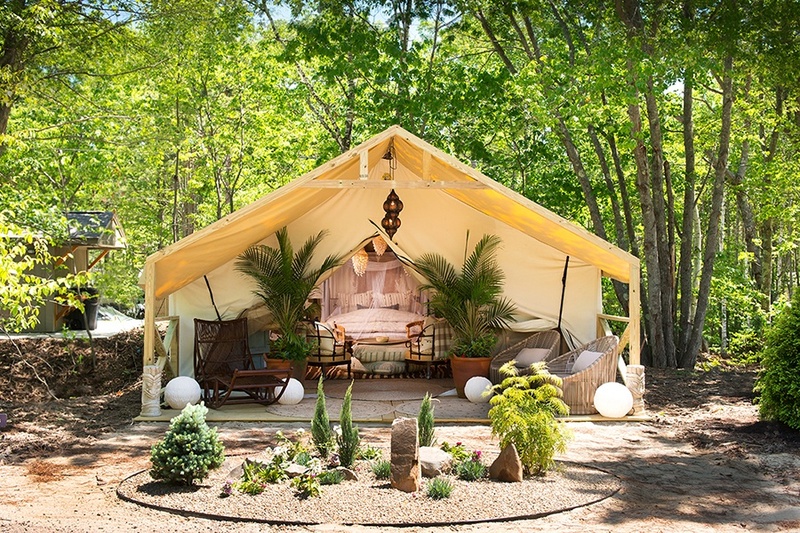 Kennebunkport’s Sandy Pines Campground has whimsical accommodations for glampers of all tastes, from professionally designed safari tents to camp carriages and hideaway huts. Luxury is the key word here—shower towels, face cloths, and beach towels are provided by Sandy Pines, and the campground’s laundry service will exchange your towels for clean ones each morning if you can remember to leave your laundry bag outside your tent. The in-tent chandeliers, big puffy beds, and lobster dinner delivery services don’t hurt, either. Sandy Pines Campground, 277 Mills Rd., Kennebunkport, Maine, sandypinescamping.com. Situated in New Hampshire’s White Mountains, Huttopia is said to exude “a cosmopolitan air.” Why? Well, its amenities include fine French wines, espresso, and cheeses. Founded in Lyon, France, in 1999, Huttopia is a network of outdoor getaways that combines camping with comfort and convenience. The company operates more than 30 locations in France and Canada, and launched its first resort in the United States last June. The lakeside New Hampshire getaway boasts a heated pool, a private beach, canoe and paddle board rentals, a game hall, and more. 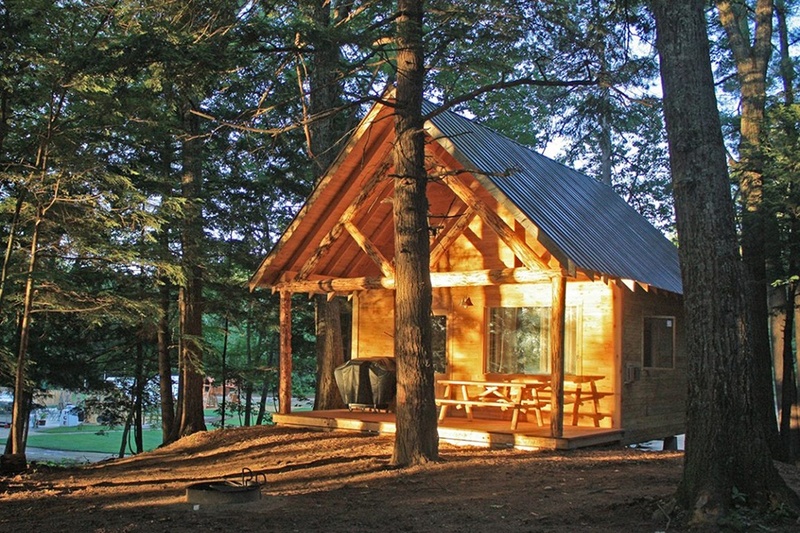 57 Pine Knoll Rd., Albany, N.H., canada-usa.huttopia.com. 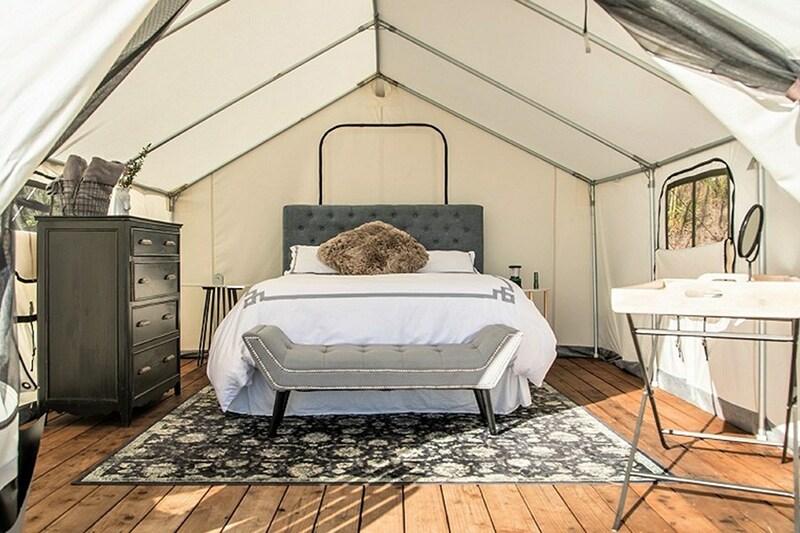 Glamping chain Terra Glamping just opened their newest glampground pop-up this month: Hutton Brickyards. Tucked away in the Castskills, the resort is a little over three hours from Boston. Each tent, which comes with either one or two memory foam queen beds, is complete with a porch for stargazing. Inside, find Turkish towels, spa robes, fine linens, cellphone chargers and top-of-the-line furnishings. 200 North St., Kingston, New York, terraglamping.com. Glamping is inherently upscale, but Tops’l Farm in Waldoboro, Maine, takes sophisticated outdoor recreation to new heights. The recently opened resort comprises 83 acres of pasture and woodlands on the Medomak River, making for an idyllic setting to host activities like adult summer camp—which features archery lessons and ax throwing—and riverside yurt paella dinners. Glamping accommodations are rustic-minimalist, and if you want, you can order French press coffee and doughnuts to your cabin. 364 Bremen Rd., Waldoboro, Maine, topslfarm.com. Meet Dream Domes. These geodesic structures at Ridgeback Lodge in New Brunswick are clad in floor-to-ceiling bay windows, offering sweeping views of the surrounding forest. 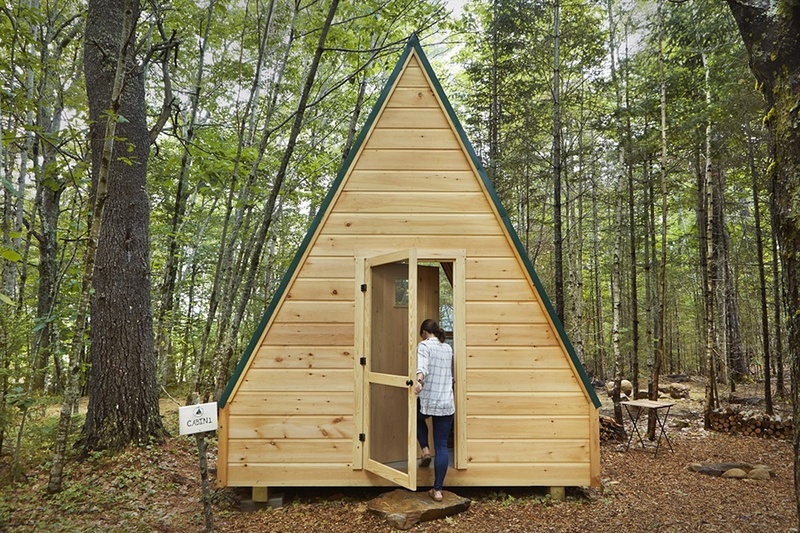 Each dome comes with a wood-fired Japanese hot tub, not to mention a king-size bed, a private bathroom, a kitchenette with pots and pans, a fridge, a hot plate, a tea kettle, a coffee press, and more. 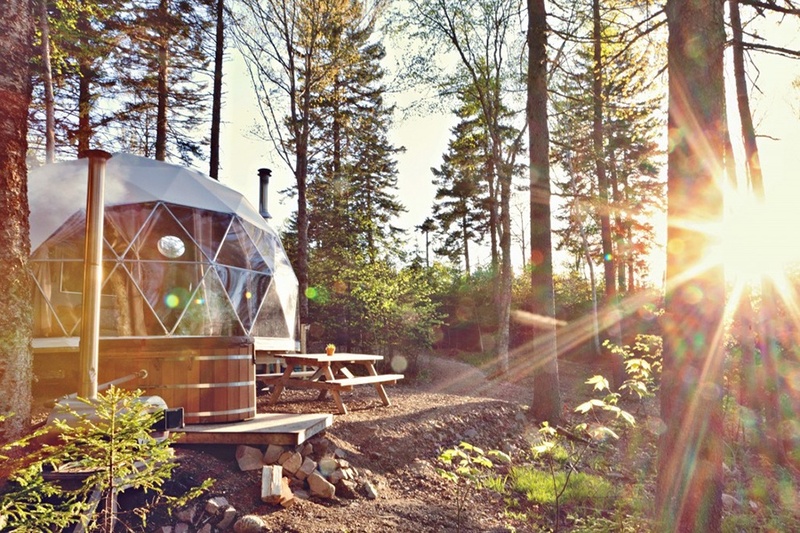 Dream Domes are open in wintertime, too, and have a wood stove for when temperatures drop. 86 Old Reach Rd., Kingston, New Brunswick, Canada, ridgebacklodge.com.